← Dog whistling… and the latest National Climate Assessment. The president as chief citizen is supposed to be the face of the people, and represent his people as the popular leader. The president must be trustworthy and work for the public interest. The president must put the nations [sic] best interests above himself and one person or one group of people. That history explains the background sound you and I awoke to this morning. It is the sound of 320-million Americans exhaling – getting a chance to express and exercise a desire they’ve been holding in for far too long – the desire to praise and see the positive in a leader instead of finding fault. It is the rustle of the morning papers and the voices of the news desk anchors and the buzz of social media as journalists of every persuasion rise to honor the man and his work – and incidentally the country and the people he honored (by taking so seriously his role as Chief Citizen, and considering that foundational and not antithetical to his day job). Millions, perhaps billions, of such words of praise and observance are already online. More are being penned, typed, and voiced hourly. And Americans everywhere are applauding what they hear (and their memories of the time and the man). 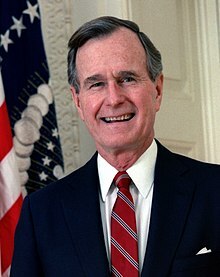 Joining the trend, this and the next three posts will contribute four President-Bush vignettes. Each illuminates important, but not necessarily the most important, of his contributions. Instead each was selected because they made a personal impression, and because they partially address the dilemma described in the previous LOTRW blogpost– the widening gap between (1) scientists’ growing understanding of the nature and causes of climate change, and the accompanying and growing risks; and (2) the needed individual, local, and national actions to forestall the worst of the coming problems. 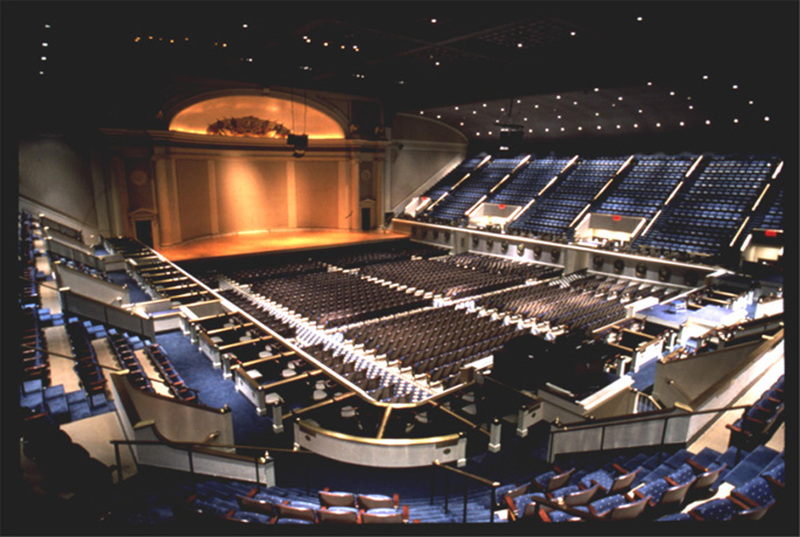 The interior of Constitution Hall. I sat in the cheap seats, in the back, but it was a privilege to be in the room. That was the President’s opening. He went on to add that he’d worked for years with the career civil service and came away from the experience uniformly impressed. He said he found the millions of career federal employees, managers, and executives to be dedicated, service-oriented, patriotic, high-minded, productive, and essential to the country. He said that his accomplishments and those of his Cabinet (because he was admonishing them even as he encouraged us) would depend upon our work. He talked about trusting us – and listening to and learning from us. He added this touch – saying he’d won the office because his SF-171 (until January 1995, the required application form for Federal employment) was better than that of his opponent. Trust is vital, and in fact given. Those responsible for making a better world with respect to elimination of poverty, improving public health and safety, education (and global change and the environment) are empowered to take ownership and make progress as fast as practicable. Pick any issue – the majority of us will be focused on something else – but we trust you. In fact, we’re counting on you. Leaders can and should always set this tone. For the most part, they are. You and I are empowered to work on what matters, and where and in ways we can best contribute. If we all do our bit, in our specialized corner of human affairs, the world will trend to a better place. We’re free to act, on climate change and every other issue. Nothing is holding us back.